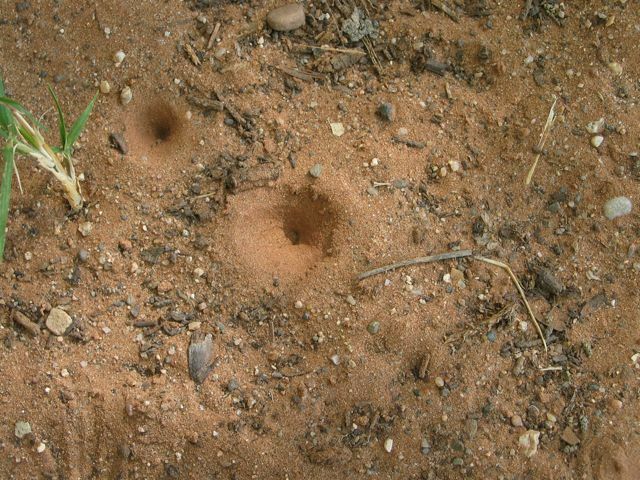 We’ve been seeing a lot of ant lion pits lately. The insect at the bottom of those funnel-shaped pits is the larval stage of the ant lion, also called a doodlebug. Ant lions are found in warm areas throughout the world, including Florida and the southwestern United States. The ant lion larva looks a bit like a lacewing larva, and the two are related. Here’s a photo of an ant lion larva from Iowa State University. Some species have even longer jaws. The ant lion larva digs a pit in loose dirt or sand near ant colonies. We’ve had a particularly dry year and there is a lot of powdery dry soil, which the ant lions seem to prefer for constructing their pits. 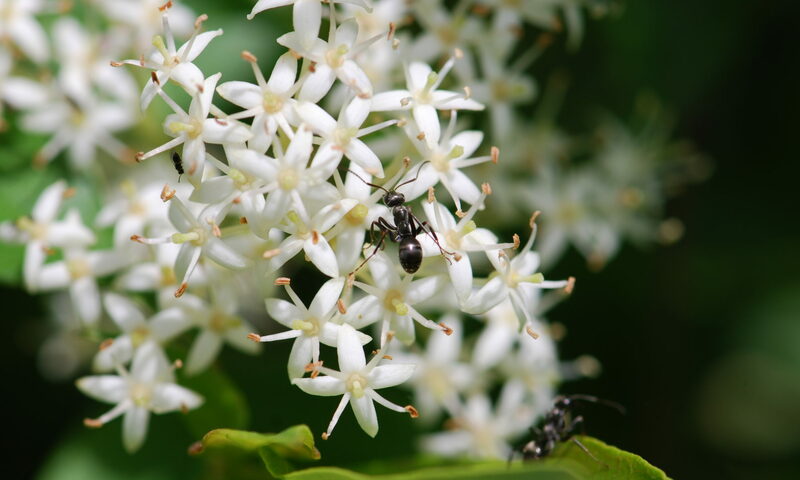 When an ant or other small insect falls into the pit, the larva flicks sand or soil at it to knock it towards the bottom. Once the ant is within reach, the larva grabs it and drags it under the sand to eat it. When the larva attains its full size, it pupates. The pupa is round and covered with a layer of silk. The adult ant lion emerges from the soil. It is slender with wings with many veins that fold back over its body when it is at rest. The adult might be mistaken for a damselfly or dragonfly. Firefly Forest has a fantastic photograph of an adult ant lion. Edit: and now I have my own photographs of adults. So that’s what those holes are! I was always concerned that they were made by snakes! I will rest easy now.